Thank you so much for making EVOLUTION 2019 an amazing experience. We look forward to seeing you again next year! Welcome to EVOLUTION — one of the addiction treatment industry’s top conferences for professionals to learn more about new ideas, innovative therapies and forward-thinking processes. 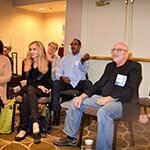 Held annually in Los Angeles, EVOLUTION brings together experts in the field and professionals who are eager to stay on the cutting edge of addiction and behavioral health treatment. 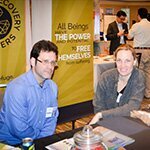 EVOLUTION was founded in 2011 by Allen Berger, Ph.D. and Andrew Martin, MBA, LAADC, SAP, CA-CSS and was purchased by C4 Recovery Foundation in 2017. Since 2011, conference attendance has nearly doubled — from 350 to over 600 attendees. With continuing education (CE) credit issued from the psychologist level down, EVOLUTION has quickly become a fixture within the professional treatment community. EVOLUTION is mission-driven to deliver its participants an energy-filled educational experience. 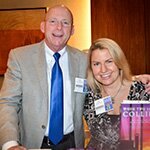 We do this by selecting keynotes and workshop presenters who are innovative and engaging, and many of whom provide experiential educational experiences. We provide a forum that encourages professional dialogues of controversial issues, showcases innovative and creative treatment approaches and offers an overview of the field and its future. At EVOLUTION, attendees will encounter new ideas and methodologies — not just hear about recent industry news or debate old practices. 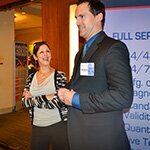 We offer up to 24 CEs and have over 75 exhibitors including agencies, vendors, educators and self-help programs. Visit the CE Information page to learn more about requirements and opportunities. EVOLUTION attendance is open to all members of the behavioral health community. We welcome all who are interested in learning more about the latest ideas and developments in treating substance use and behavioral health disorders, and who want to engage in informed and open-minded dialogue about the direction of our field. We welcome constructive criticism, civil debate and idea exchange — EVOLUTION is dedicated to advancing the field, and we believe this is best accomplished through interactivity and bringing inquisitive minds together. 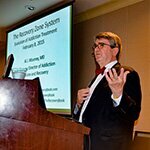 Presentations and workshops cover a variety of topics, including approaches to addiction and behavioral health therapies; addiction professionals’ code of ethics; self-care for treatment providers; the business of recovery and best practices for long-term recovery. Our sessions are led by experts in their fields — master’s and doctoral level providers, executives with years of administrative achievements, individuals with personal recovery experiences and practicing legal professionals. 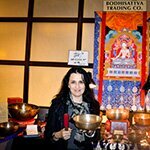 Wellness and Ethics: Addiction Professional Know Thyself! Where Does Your Organization Stand: How will Your Work be Affected by the Opioid Crisis? Attending EVOLUTION promises to be an enlightening experience with plenty of time to network, meet with peers and visit with friends from the industry. EVOLUTION is held annually in February and is hosted at the Sheraton Gateway in Los Angeles. The Sheraton Gateway is conveniently located within minutes of the Los Angeles International Airport. The Sheraton also provides a free shuttle service to and from the airport, and there are valet and self-parking facilities available. Many of our attendees choose to stay at the Sheraton during the conference — the hotel does offer room discounts for guests associated with EVOLUTION and provides a range of comfortable amenities including a heated pool and fitness center. There are also many other options for accommodations available in the immediate area if you are interested. Breakfast is served Tuesday through Friday mornings from 7:00 AM to 8:30 AM and is included for all conference attendees. Light refreshments are included for all conference attendees Tuesday through Friday, and luncheons (pre-registration required) are served on Wednesday and Thursday. Presentations and workshops at 8:30 AM and run through the evening from Tuesday to Thursday with breaks for refreshments, lunch and dinner. Friday programming ends at noon to allow attendees time to travel home. 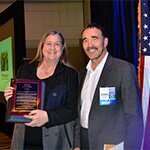 C4 Recovery Foundation recognizes excellence in our field with annual awards presented at various conferences. EVOLUTION is home to two outstanding performance awards: the Outstanding Counselor Award and the Lifetime Achievement Award. Learn more about these and nominate a colleague on the Award Nominations page. 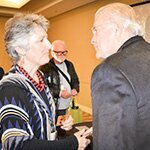 EVOLUTION 2019, held in Los Angeles from January 24-27, was a great success with hundreds of attendees and a full schedule of engaging presentations and workshops. We are excited to begin organizing EVOLUTION 2020 and will be updating the website with new topics and speakers in the coming months. Registration for EVOLUTION 2020, which will be held in Los Angeles from February 18-21, will open in November 2019. 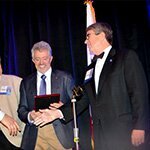 If you are interested in volunteering, submitting a proposal, hosting a booth or nominating someone for an award, please visit the appropriate pages on our site or contact us to learn more. See our Events & Future Dates page for more information.